You must have spotted BRYT’s Xmas Gift box in one of my Christmas gift guides post. Thought I would share some more information about the brand and the contents of the box. 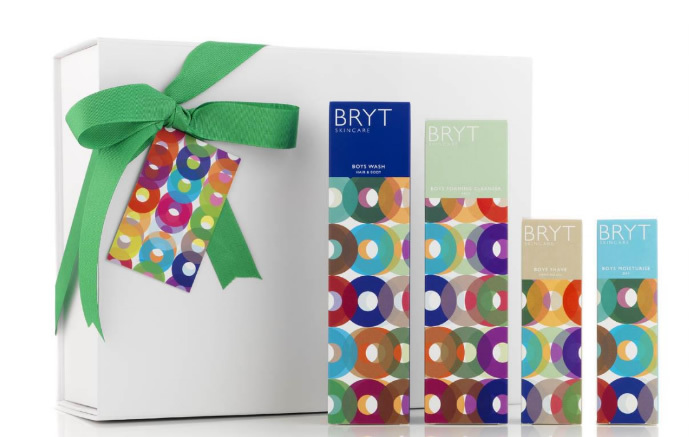 The Xmas gift boxes from BRYT include a selection of premium, hand-picked products from this British botanical range and each box is hand-wrapped in BRYT’s signature colourful tissue paper, making it a beautiful natural skincare gift. Hair and Body Wash: a wonderfully uplifting all-over wash, designed for use both morning and evening or after sport. Foaming Cleanser: effectively washes away daily grime and impurities, while caring for and nurturing the skin. Shaving Oil: a natural and innovative shaving solution compatible with all skin types. Daily Moisturiser: a light, daily facial moisturiser with SPF15. All the products are suitable for all skin types and are free from petrochemicals, sulphates, silicones, parabens, phthalates, and GM ingredients. The BRYT Haute Couture Boxes cost £65 for Him and £80 for Her (including UK postage) and are available exclusively online from www.brytskincare.co.uk.